While consumers are lining up to slip on FitBits and Apple Watches, wearable technology is still a hard sell in the enterprise, according to new data from IDC Canada. Only four per cent of Canadian enterprises are currently using wearables, with 10 per cent planning to use them within the next two years. The vast majority – 81 per cent – say they have no plans to deploy wearables because they’re still not convinced the devices are a good fit for their business. Emily Taylor of IDC Canada addressing an ITAC wearable technology event in Toronto on Wednesday. “Those (enterprises) need to have the value proven a little bit more to them. So we need to solidify the benefit case within industries,” said Emily Taylor, senior consumer and mobility analyst at IDC Canada. Taylor presented the findings at a Toronto event held Wednesday by the Information Technology Association of Canada. The data is based on surveys conducted by IDC in September with IT and line of business decision makers at Canadian businesses with more than 100 employees. While noting that “this is a market that’s being driven on the consumer side,” Taylor said wearables will likely gain steam in the enterprise once more data emerges demonstrating actual business benefits. She cited the case of Appirio, an American firm that helps businesses move to the cloud. In 2013, Appirio said its health care costs dropped by six per cent in the first year after its staff started using the Jawbone wristband to track their fitness levels. Taylor also urged executives in the audience to approach wearables from the perspective of productivity gains: how can wearables enable workers to perform their jobs better, faster or more safely? “I would make the argument that it’s not necessarily about the form factor, it’s about what needs to be done (on the job),” Taylor said. For example, if wearables can improve a worker’s posture during heavy lifting, enable them to perform multiple tasks remotely, or allow them to receive customer and inventory data in real time, the productivity and safety gains could outweigh the upfront device costs for many businesses, she said. Speaking of costs, 35 per cent of survey respondents named the high cost of wearable devices as a major inhibitor to deployment, ranking second behind the aforementioned “no need for them.” Security concerns came in third, garnering 25 per cent of responses. 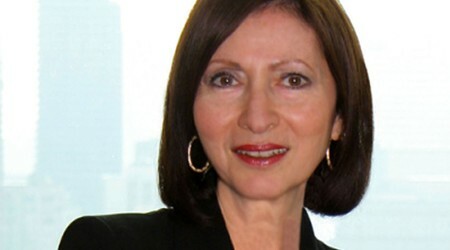 In her own presentation following Taylor’s, former Ontario privacy commissioner Ann Cavoukian touched on costs and security, as well. She argued that makers of wearable devices and apps could face far greater costs and security implications if they don’t embed privacy controls in every stage of the development process. It’s cheaper to embed such privacy upfront, she said, than to defend against lawsuits and reputational damage if there’s a data breach later. “Get smart. Lead with privacy by design, not privacy by chance or worse, privacy by disaster,” said Cavoukian, who is now executive director of the Privacy and Big Data Institute at Toronto’s Ryerson University. “If you build in (privacy controls) and you tell your customers about it, you’ll get such a competitive advantage,” she said.